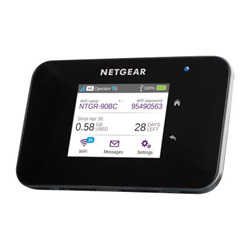 AirCard® 810 Mobile Hotspot gives you super-fast 4G LTE and 3G speeds anywhere, up to 600Mbps. Receive SMS messages & monitor data usage on the color LCD touchscreen. Jump Boost lets you charge your smartphone or tablet. You can share a connection with up to 15 WiFi devices.